What’s next for prosecutors in Freddie Gray case? 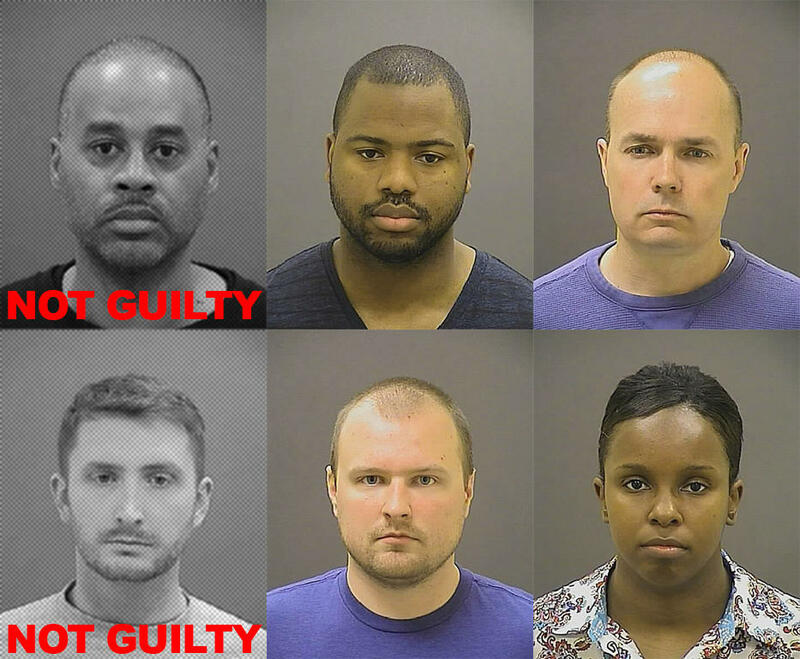 Officers Caesar Goodson and Edward Nero (left column) have been acquitted of their accused roles in last year's death of Freddie Gray. Do prosecutors still have a case against the remaining four officers in the case? Prosecutors will continue to seek a conviction in last year’s death of Freddie Gray when the trial of Lt. Brian Rice begins Tuesday with a motions hearing. But after three trials, they have yet to prove beyond a reasonable doubt that any of the officers tried so far were criminally responsible for Gray’s death. The first trial against Officer William Porter ended in a hung jury last December. He is to be retried in September. Officer Edward Nero was acquitted in May. And Officer Caesar Goodson, who drove the transport van in which Gray suffered his fatal injuries, was acquitted last week. Legal analysts say convicting Goodson was key for prosecutors. He faced the most serious charge in the case, second degree depraved heart murder. The state accused Goodson of neglecting his duty to seatbelt Gray and of giving him a rough ride. But Circuit Judge Barry Williams torpedoed both of the state’s theories. He said there was no evidence of a rough ride, and that Goodson’s failure to seat belt Gray was not inherently criminal conduct. University of Baltimore Law Professor David Jaros says there are parts of Williams’ verdict in Goodson’s trial that makes trying to convict the remaining officers hard. 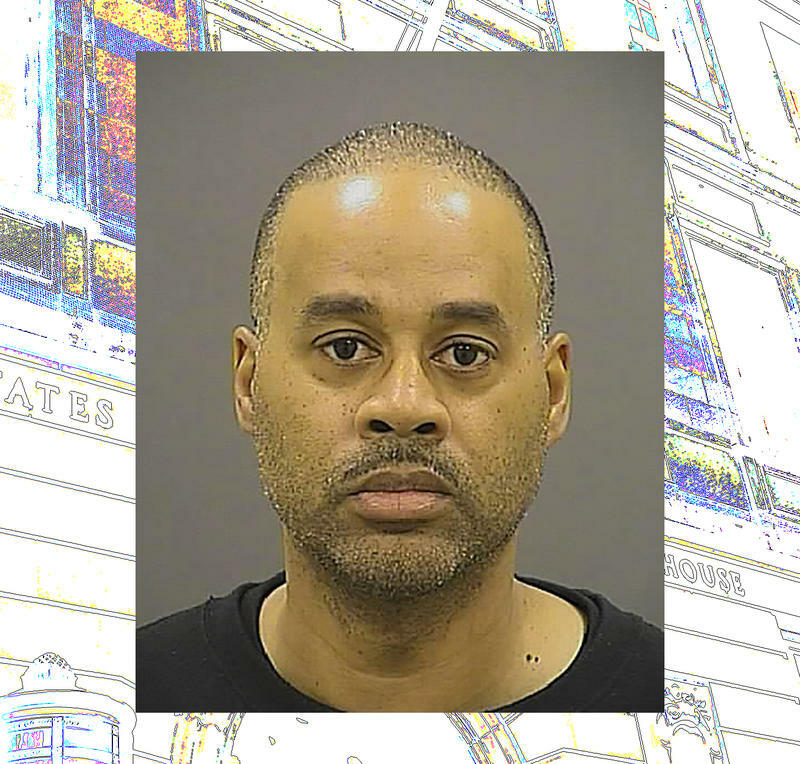 “Perhaps the biggest being the fact that the judge was not persuaded that there was sufficient evidence at the scene that would put the officers on notice as to the dangers to Freddie Gray’s health and life,” he says. Williams said unlike a shooting or stabbing where there is an obvious physical injury, Gray’s fatal spinal cord injury happened internally. 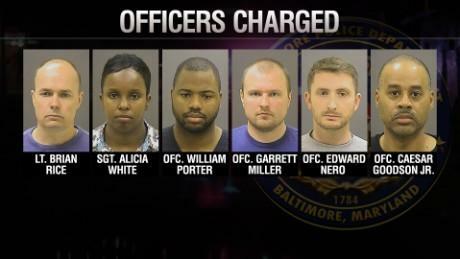 Meanwhile, Rice and the remaining accused officers – Officers Garrett Miller and William Porter and Sgt. Alicia White - have filed motions with Judge Williams to dismiss the charges against them; arguing defects in the prosecution. In one instance, they cited a Baltimore sheriff’s major who said he signed off on the charges even though he had no personal knowledge of them and in another they referred to a police detectives who said prosecutors had her give misleading testimony to the grand jury that indicted the officers. Jaros says it’s hard to imagine prosecutors having more to add to show the remaining officers culpable in Gray’s death. Former city prosecutor Debbie Hines, who has been observing the trials, says that even though Rice had a different role than the other officers, prosecutors are singing the same song as the previous trials. Just with a different beat. They are great assumptions because prosecutors and defense attorneys remain under a gag order issued by Williams. If Rice opts for a bench trial or if prosecutors decide to dismiss charges, it won’t be known publicly before Tuesday. Despite prosecutors’ failure to secure convictions, Hines says Mosby had probable cause to charge the officers. “Probable cause is not the same as beyond a reasonable doubt. It’s ‘do you have enough there to determine whether or not a crime has been committed,’" she says. Jaros says while he finds it difficult for prosecutors to prove their case against the remaining defendants, it doesn’t mean they were wrong in pursuing charges. Officer Caesar Goodson was acquitted Thursday of all charges against him in the police custody death of Freddie Gray. Goodson, who drove the police van that transported Gray, faced the most serious charges in the case: second degree depraved heart murder, involuntary manslaughter, gross negligent manslaughter by vehicle, criminal negligent manslaughter by vehicle, reckless endangerment and misconduct in office. How will Monday's not-guilty verdict in the trial of Officer Edward Nero, combined with last year’s hung jury in the case of Officer William Porter, affect the State’s Attorney’s case against Ceasar Goodson, the police van driver whose trial is slated to begin early next month? He’s the next Baltimore police officer to be tried in connection with Freddie Gray's death from injuries sustained while in police custody in April 2015. And what will be the impact of the newly-released Appeals Court ruling, which compels the indicted police officers to testify in each other’s trials? This morning, legal analysis from attorney Edward Smith and University of Baltimore law professor David Jaros, who join Tom in Studio A.